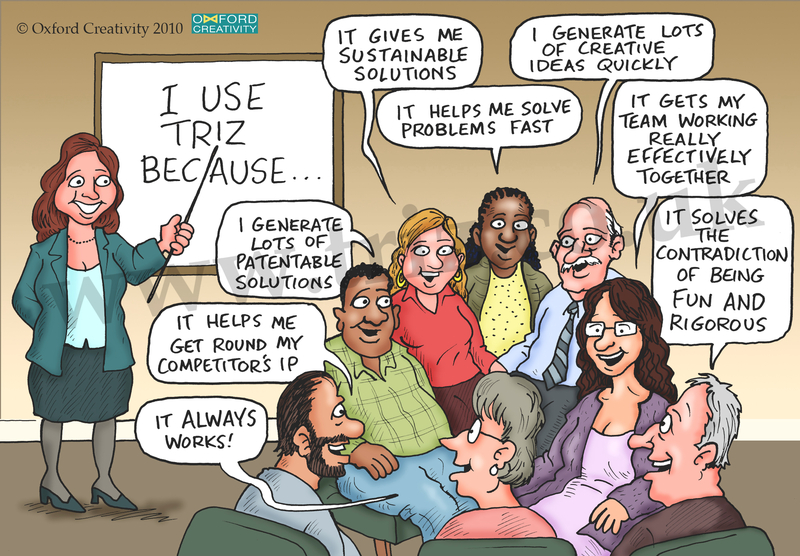 I utilise TRIZ (a range of innovative problem solving techniques) to support your specialists and subject matter experts to identify and deliver a range of possible solutions to whatever problem your organisation is facing. This process has been used by a range of organisations, many of whom are so impressed by the business edge it creates that they do not wish their use of these powerful tools to be public knowledge, in case their competitors decide to start using it. Some other organisations have used their connection to TRIZ to publicly display their forward thinking and creativity in a bid to gain recognition and attract creative employees. My approach will provide you with elegant and effective solutions to your most challenging technical issues faster and more creatively than by utilising more traditional methods of problem solving. The facilitation process is very user-friendly and your team members do not need to have any prior knowledge of TRIZ, or any other creative problem-solving techniques.